We have for sale used Robe Robin 600 LED Wash Purewhite DL, W-DMX Lighting fixtures with white housing. 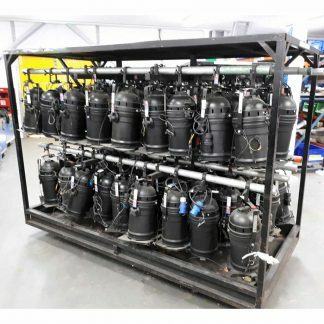 These are all in excellent condition and price is per single fixture. 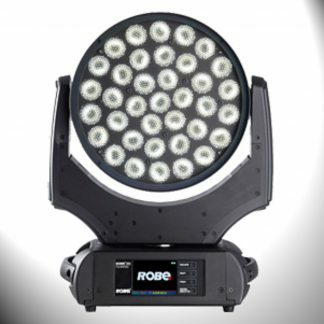 Robe Robin 600 LED Wash Purewhite DL, W-DMX with white housing. 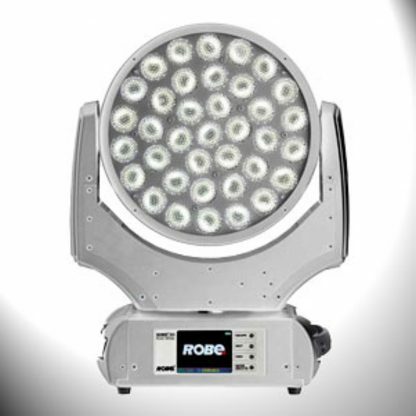 Robe PureWhite 600 DL is a single Spotlessly even light output. 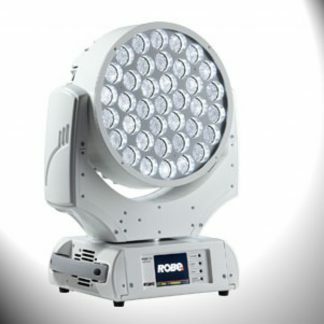 Ideal for car shows, theaters and thank to flicker free LED operation also for TV studios. 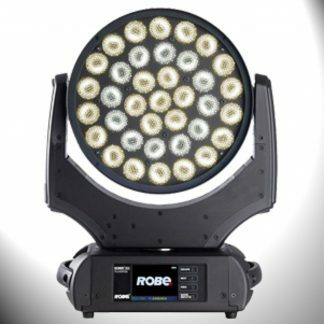 Robe PureWhite 600 DL offers smooth output of white only variations. DayLight, WarmWhite or SmartWhite combinations of LEDs are arranged in 3 concentric rings for providing comprehensive and perfectly even wash coverage, ideal for car shows, theaters and thank to flicker free LED operation also for TV studios. Fast 15 – 60 degree motorized zoom, speedy pan and tilt movement and powerful fast strobing with pre-programmed strobe effects of all LEDs or per each individual ring can turn Robe PureWhite 600 DL into very effective blinding tool. 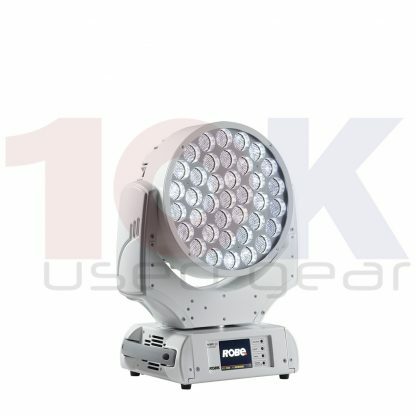 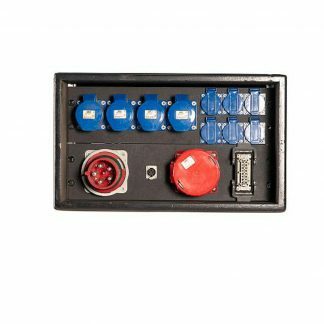 Available only in a white colour, wired DMX version. 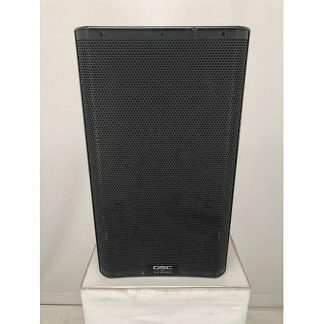 (Black housing on request).